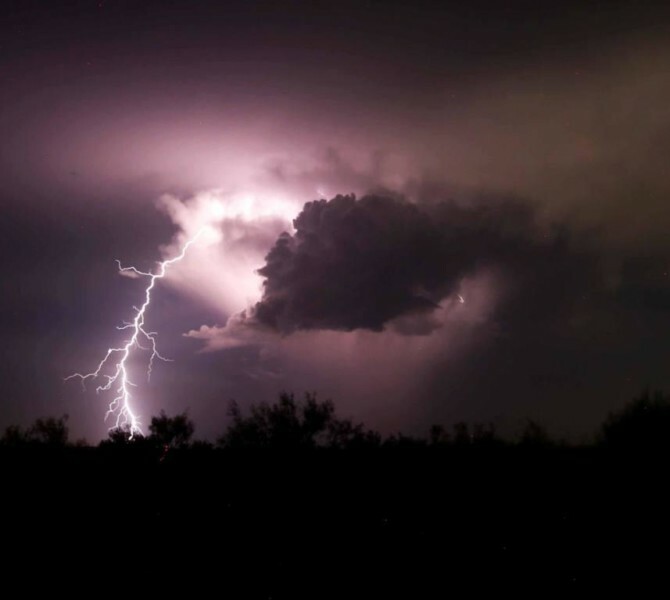 In an earlier piece, I had written about the role of lightning in the nitrogen cycle. The focus this time is on lightning as a physical process. Lightning is a sudden electrostatic discharge that occurs during a thunderstorm. This discharge can occur between oppositely charged regions within a single cloud, between two clouds, or between a cloud and the ground. During the discharge, the oppositely charged regions temporarily neutralize themselves. 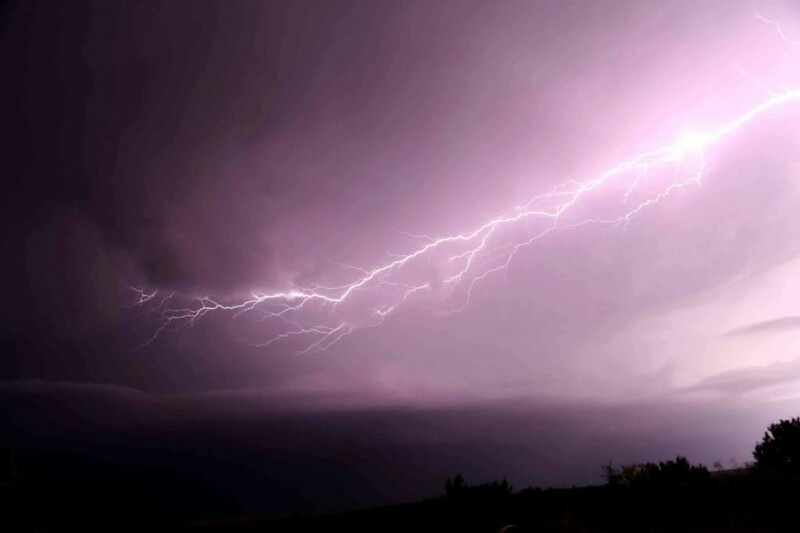 A lightning discharge produces light energy in the form of plasma and sound in the form of thunder. The temperature of the air heated by lightning can be over 50,000 degrees F which is significantly hotter than the surface of the sun. Over the earth, lightning occurs about 40-50X per second. 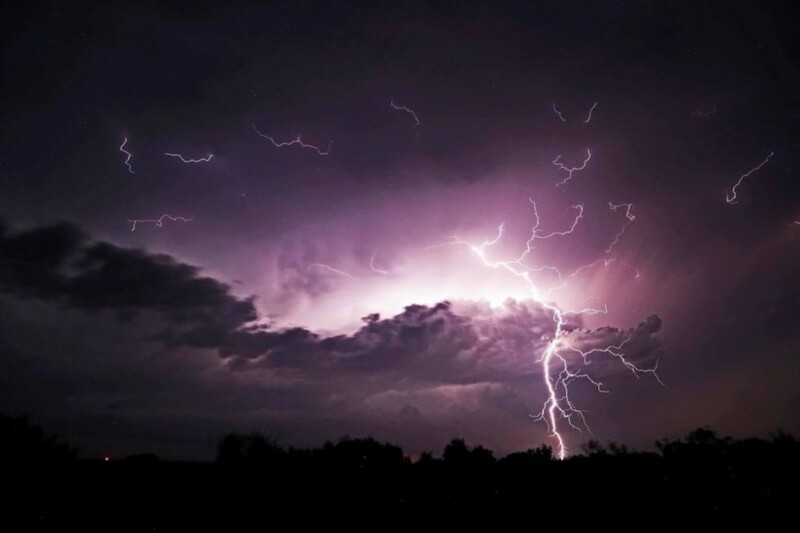 There are many factors affecting the frequency, distribution, strength, and physical properties of lightning including elevation, latitude, prevailing wind direction, relative humidity, proximity to water, and season. 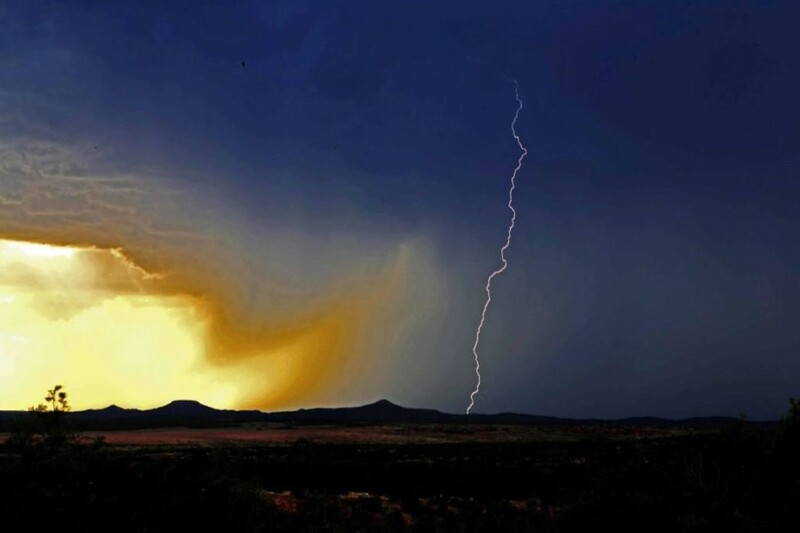 The most common generators of lightning are cumulonimbus clouds in a thunderstorm, but lightning can also be produced by cumulus, stratus, and other cloud types, snowstorms, dust storms, forest fires, and in ash clouds over erupting volcanoes. The details of the electrostatic charging process are still not well understood, but there is a general consensus among atmospheric scientists over the main charging process. The primary charging area in a thunderstorm occurs in the central part of the storm cloud where air is rapidly uplifted and chilled. The combination of the cold temperature and rapidly rising air produces a mixture of super-cooled cloud droplets (small droplets of water below freezing), small ice crystals, and graupel (soft hail). The updraft carries the cloud droplets and ice crystals upward, but the larger and denser graupel is either suspended in the middle of the storm cloud or falls to the base of the storm. 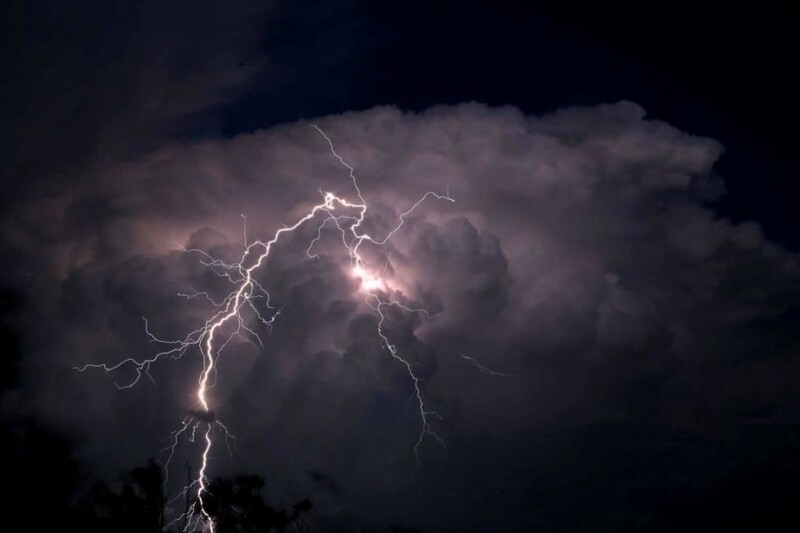 The result is that the upper regions of the cloud become positively charged while the middle and lower parts of the cloud become negatively charged. 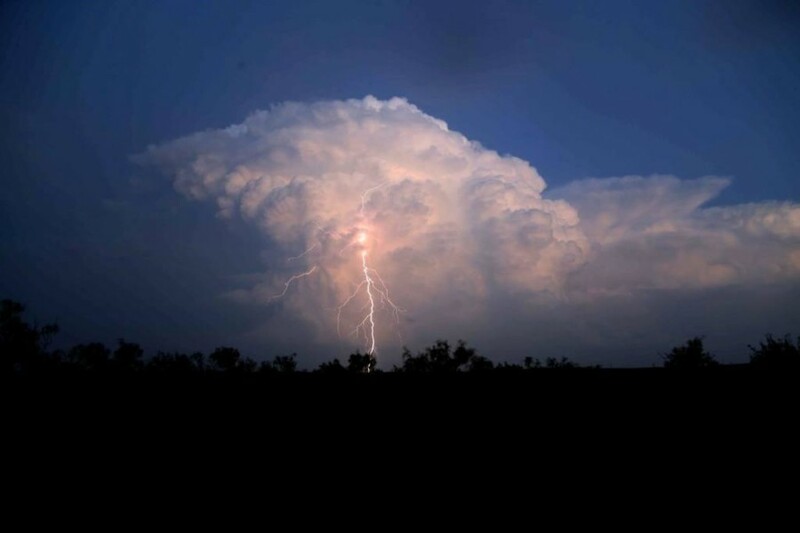 The upward motions within the storm and the winds at higher elevations in the atmosphere tend to cause the ice crystals and positive charges in the upper part of the thunderstorm cloud to spread out horizontally forming an anvil. There is also a small positive charge buildup near the bottom of the storm cloud due to precipitation and warmer temperatures. Two conditions must be met for the electrostatic discharge to occur: (1.) a sufficiently high electric potential (difference between positive and negative charge) between two regions of space must exist, and (2.) there must be a high-resistance medium (insulation barrier) obstructing the free, unimpeded equalization of the opposite charges; the atmosphere provides the insulation preventing the free equalization between opposite charges.